This cart offers a mobile solution for transporting goods from one location to another. Adjustable design allows the user to choose the spacing between each shelf. 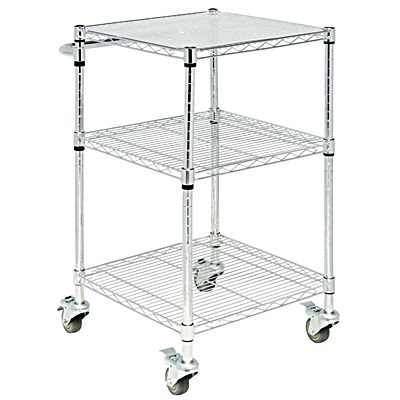 Each chrome-plated steel cart includes 4 - 3" locking casters, and easy grip handle and 1 clear plastic top shelf liner. Weight capacity: 250 lbs.